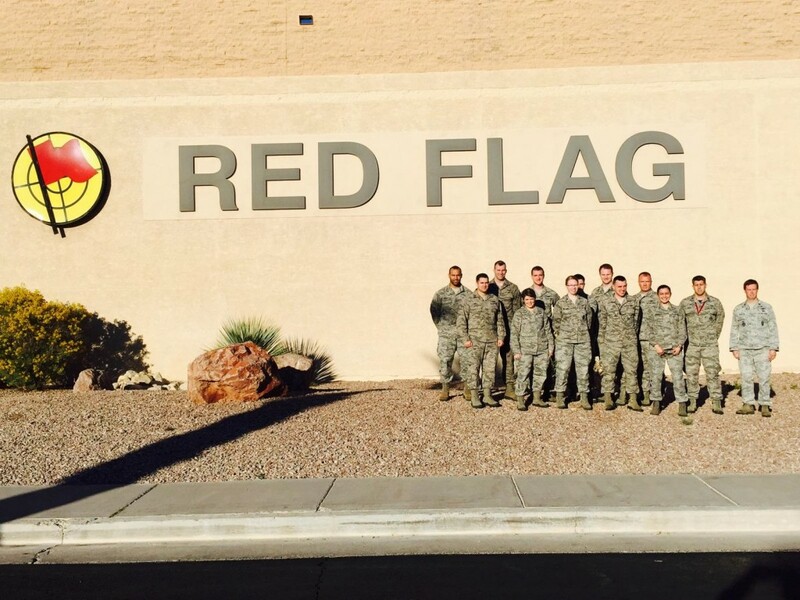 April 2, 2015 – For the first time in the U.S. military’s Red Flag training history, an Air Force Space Command contingent created and incorporated a Collateral Space Planning Cell into the exercise’s 15-1 iteration January 26 – February 13 at Nellis Air Force Base, Nevada. Airmen from 50th, 21st and 460th Space Wings participated in the exercise designed to maximize combat readiness, capability and survivability of participating units through realistic training in a combined air, ground, space and electronic threat environment. Adding a space cell to Red Flag taught exercise participants about some of the command’s mission areas and how to integrate them throughout Red Flag mission sets, Ianacone said. Meanwhile, the AFSPC Airmen received the opportunity to learn about the combat Air Force and how the service plans and fights its wars. “The space cell isn’t just about one wing’s capabilities, it’s about space integration, knowledge and planning,” said 1st Lt. Even Rogers, 4th Space Operations Squadron. As the individuals who built the planning cell, the team met various challenges when building a construct that facilitated the integration of space effects into Red Flag. The planning cell essentially had to inform the flyers about space capabilities and how they were applicable to an air mission. Despite the growing pains of setting up the new planning cell, the team was able to push through the three-week exercise and generated numerous lessons learned. When performing mission planning there are inherent complexities that allow the mission to either be a failure or a success, said 1st Lt. Ryan Vath, 50 OSS. Vath pointed out that for mission planning to be successful in the space community a culture change would be required. Ianacone said that exercises like Red Flag are in line with the AFSPC’s paradigm shift on how it organizes, trains and equips forces to operate in a contested environment. “We want to enable our Airmen with being more effective instructors, weapons and tactics personnel, and ultimately space professionals who are focused on how we fight in a contested, degraded and operationally-limited environment,” Ianacone said. According to Ianacone, although the planning cell was just in its infancy, the members performed with flying colors. Red Flag is an advanced aerial combat training exercise hosted at Nellis Air Force Base, Nevada. The exercises are conducted by the 414th Combat Training Squadron (414 CTS) of the 57th Wing (57 WG) to train pilots and other flight crew members from the U.S., NATO and allied countries for real air combat situations. To accomplish this, combat units engage in realistic combat training scenarios carefully conducted within the Nellis Range Complex. The 50th Space Wing, a component of Air Force Space Command, is located at Schriever Air Force Base, Colorado. It is responsible for the operations and support of more than 150 Department of Defense satellites. The 50th SW delivers combat power from space for America and its allies. The 21st Space Wing is headquartered at Peterson Air Force Base, Colorado. The 21st Space Wing provides missile warning and space control to North American Aerospace Defense Command and U.S. Strategic Command through a network of command and control units and ground and space-based sensors operated by geographically separated units around the world. Buckley AFB’s host unit, The 460th Space Wing is located at Buckley Air Force Base, Colorado and falls under the direction of 14th Air Force and Air Force Space Command. For its day-to-day operational mission the 460th SW directly supports Combatant Commands across the globe.